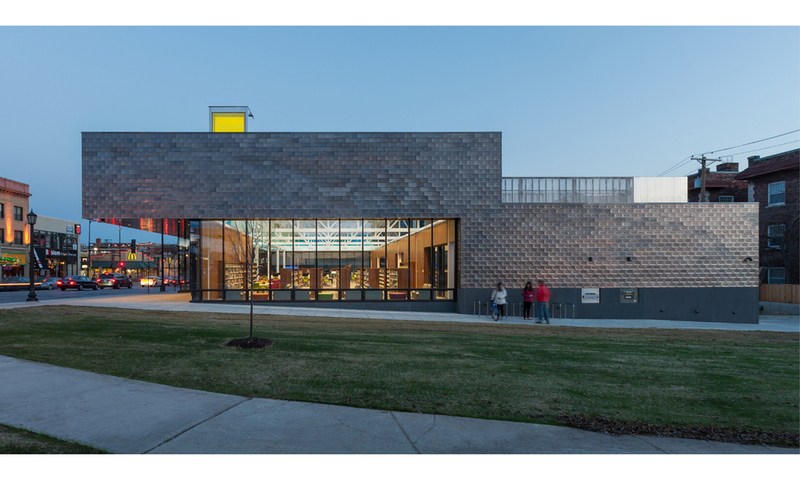 VJAA’s new Walker Library is sited in an active urban site in Minneapolis in a neighborhood with a demographically young population. The site is adjacent to the midtown Greenway bike trails and a future location for Light Rail Transit. 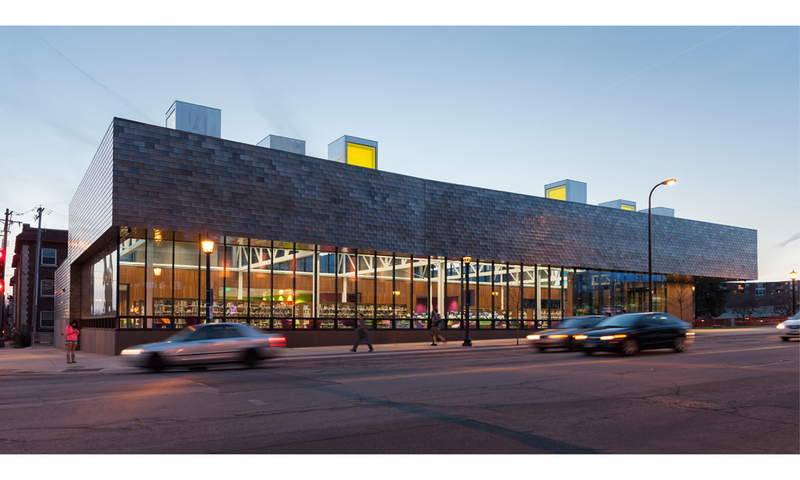 The project connects an important urban space, the Mall with the interior main reading room while creating a strong visual presence on the street. The project included an extensive public process and collaboration with a range of city agencies as well as neighborhood outreach. 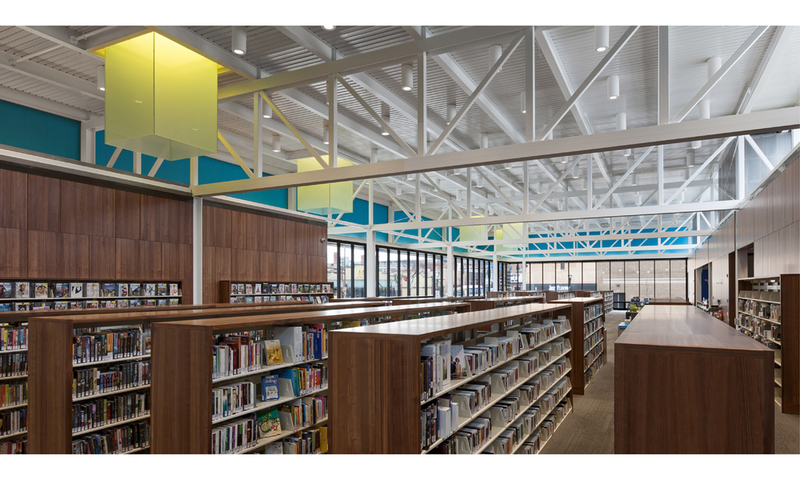 The community advisory committee set criteria for the project’s success and included issues of access, landmark visibility and sustainability with the library’s program. The 30,000 S.F. building includes the library, community meeting areas and underground vehicle parking. 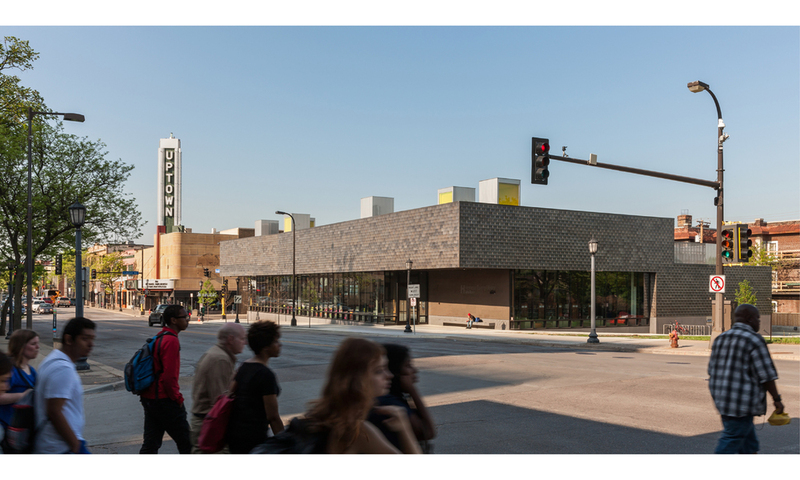 Conceptual ideas for the project focus on creating a new civic space on Hennepin Avenue and on day-lighting strategies for the project.